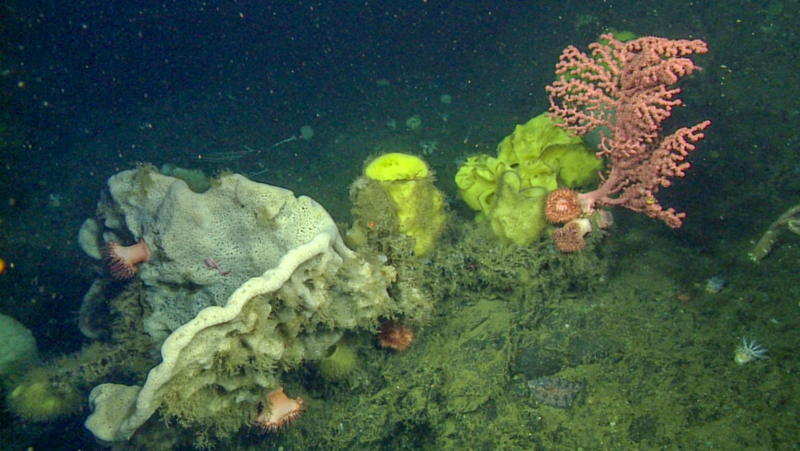 Pictured above: Observations of deep ocean old growth corals thriving in hard-rock environments. Forests of stunning, old-growth corals thrive on seamounts and other hard-rock environments in the dark, cold waters of the deep ocean where they provide critical habitat for a wealth of fishes and invertebrates. 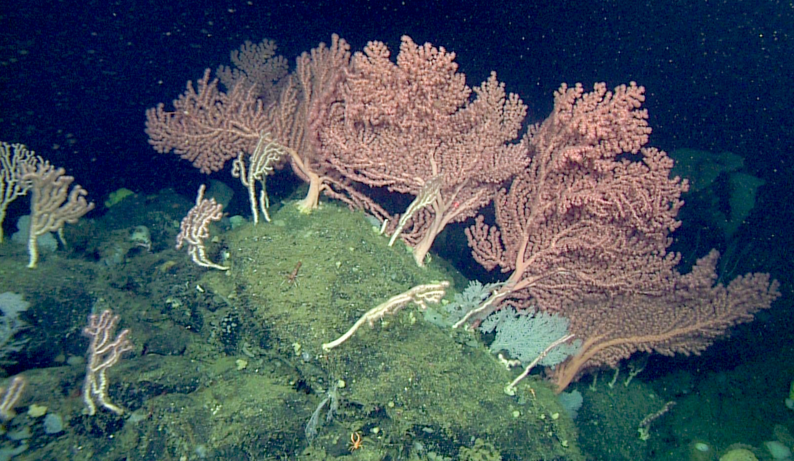 These unique cold-water corals have become a research priority due to their importance as oases of life in the deep ocean, as well as concern for their safety in view of their extreme vulnerability to deep-sea trawling or other non-natural disturbances. We know that deep-sea corals grow slowly and live for hundreds of years—life in the slow lane, so to speak. So is it reasonable to assume that the monotony of dark, cold, and relatively stable environmental conditions of the deep sea sets the pace of life for corals, sponges, and other species in these seamount habitats? Or could seasonal changes or relatively rare natural events play key roles in their survival, growth, and reproduction? 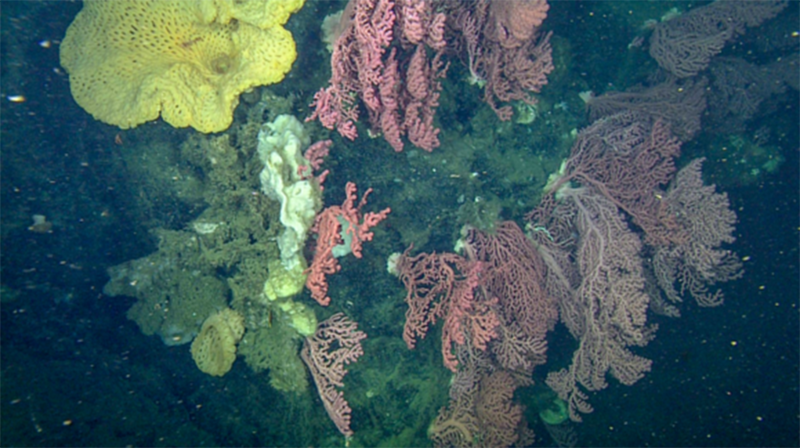 On Sur Ridge, corals and sponges are foundation species, meaning they create the 3D habitat for other animals in the community and may affect the surrounding water. With so many fundamental questions about deep-sea corals still unanswered, MBARI Scientist Jim Barry and his team have set out to develop a system for studying these enigmatic communities over time. Observations and samples collected during occasional expeditions to seamounts can provide only a snapshot of the processes that shape coral communities. 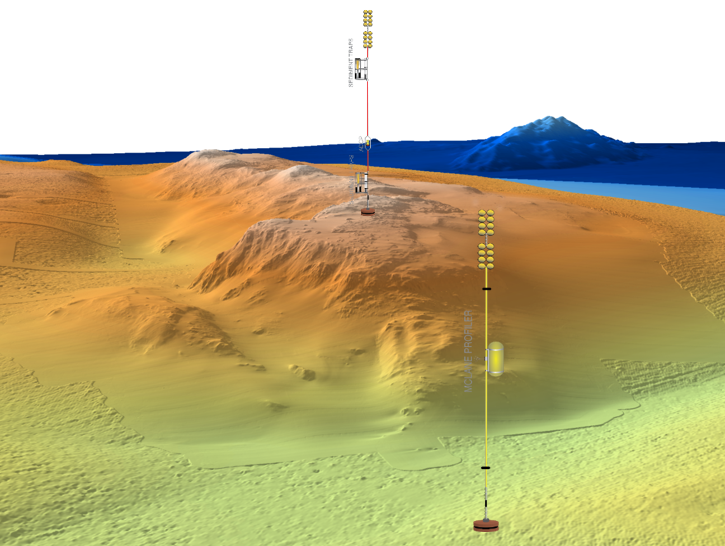 Therefore, a dedicated, autonomous deep-sea coral observatory is now under development. This observatory will be used as a hub for deploying sensors into these unique ecosystems. Our goal is to record the behavior and condition of corals and other species in relation to daily, seasonal, or episodic changes in environmental conditions that may shape these ecosystems. Sur Ridge is about 17 kilometers (10.5 miles) long and five kilometers (three miles) wide and is home to a lush community of corals and sponges. 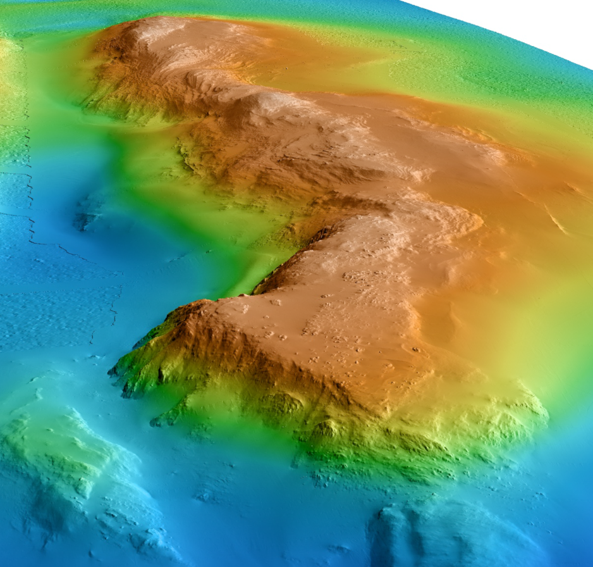 The deep-sea coral observatory will include a suite of robots and instruments deployed at Sur Ridge, a seamount system 64 kilometers (40 miles) southwest of Moss Landing, California, and 800 meters (half a mile) below the ocean surface. Various sensors will be used to collect high-resolution observations of the condition and behavior of corals and associated species, with concurrent measurements of environmental conditions. The core of these observations will be made with time-lapse camera systems that can document the condition and behavior of corals and coral polyps (the tiny animals that make up a large coral structure), as well as changes in the abundance of predators or other species. Other sensor packages will continuously record temperature, oxygen, levels of suspended organic debris, and current speeds near the bottom. Because coral feeding is passive, feeding success is affected by both current flow speeds and the concentration of suspended food particles. Sediment traps will be positioned to capture sinking particles to chronicle variation in the delivery of organic debris (food) from surface waters. In addition to traditional photographic cameras, new imaging systems and sensors to measure coral health (such as fat content or reproductive condition) are under development and will be added to the observatory in the future. Two moorings to monitor the currents will be part of the instrumentation included in the coral observatory. Unmanned aerial vehicles may be deployed for repeatable and low-cost ocean-science applications such as animal counts and monitoring harmful algal blooms.